Parmelee Consulting Group, Inc. – National Science Foundation (NSF): What You Need to Know! National Science Foundation (NSF): What You Need to Know! 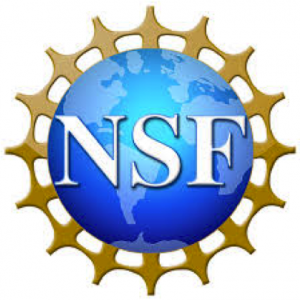 National Science Foundation (NSF) is a granting agency. Among other things, this means that their topics are very broad and allow investigator-initiated projects. Unlike contracts that provide very specific requirements and designate the approach and ultimate solution needed, grants allow the investigator to determine the focus of the project, the approach and the milestones. NSF has 13 topic areas. Under each of these broad topic areas are subtopics that provide a more specific focus. As you may have already learned, it is important to not make assumptions in the SBIR/STTR program, so be sure to check out each topic and its subtopics to find the best match. NSF encourages contact with agency staff prior to submission of an application. A program manager (individual responsible for all proposals under a specific topic) and his/her contact information are listed for each topic in the solicitation. NSF Phase I SBIR/STTR proposals can be submitted with budgets up to $225,000. This is a hard cap and the represents the “all in” budget, which includes indirect costs and the standard SBIR/STTR Profit (a 7% fee collected by the small business as profit on the R&D project; these funds are unrestricted). Budget is not a competitive factor in these proposals, meaning there is no advantage to leaving money on the table. You do not get extra points if your project comes in with a budget lower than $225,000! The agency uses its own submission platform, called FastLane, for the submission and subsequent tracking of proposals and corresponding reports. Registration on FastLane (through Research.gov) can only be completed after the SAM registration is approved. Submitted proposals are peer-reviewed and a summary of reviewer comments is provided for each submission, typically within six months of submission. Unfunded proposals can be resubmitted one time. Resubmissions are expected to have significant changes in response to reviewer comments and submission includes a summary of those changes. One important note about NSF, unlike other agencies, the PI must be more than 50% employed by the small business—even on an STTR.